Merchandiser is the BRIDGE between the industry and the buyer. He have to look after every job like buying the raw material which is required to finish the product, making the garment, finishing the garment, documentation, finally shipping. He is the responsible person to make the product. A garment export unit generally has many department like stores, cutting, production, packing, checking etc. in which Merchandising department a linking device of all. The job of a merchandiser is to co ordinate with the entire department in the office as well as the customers. The merchandiser is the one who creates a good relationship in between exporter & buyer. Merchandising is a specialized management functions within the fashion industry. It is the business that moves the world fashion from designers showroom to retail sales floor and in to the hands of consumers. It is the internal planning that takes place within a retail organization in order ensures adequate amount of merchandise are on hand to be sold at prices that the consumers are willing to pay to ensure a profitable operation. The concept of term “Merchandising” can be traced dated back from the early historic period when the emergence of the trade between the countries. There are numerous notes about the existence and evolution of trade between the bigger civilizations in those periods like Greek, Roman, Indian, Chinese, and Egypt .But during those days the meaning of the term merchandising confined merely to exchange of materials or commodities which were availed from nature or produced from nature and they were not manufactured for specific purpose or specific customers. There was exchange of materials which fulfills the basic needs of living like commodities, live stocks, textiles and luxurious items like gold diamonds, precious stones etc…Earlier days the production of goods was home based and family oriented which were not mass produced. In the industrial period, home production was replaced by factory system and hand operations were replaced by machines. Mass productions were followed by large-scale consumption. The term “Merchandising” got its significance after the industrial revolution that emerged during the 20th century after World War 2 and particularly during the period when there was a dramatic shift from Custom Made Tailoring to Ready Made Garments. During this period there was great demand for product development. Merchandising evolved as a bridge between the design and sales to fill the needs. It got its further momentum when the market concept which give more impotence to the customer needs, emerged in the industry. The period between 1960 and the early 2000 saw dramatic changes in the structure, focus and content of apparel companies particularly in U.S. During 1970’s there was a remarkable growth surge to the apparel industry which continued trough the 1980 and 1990. 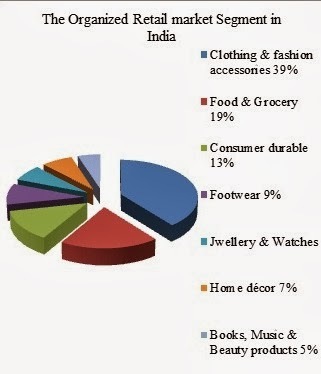 United States played a major role in the evaluation of merchandising in apparel industry. To achieve this level of different control while developing, executing and delivering a product line that meet the rapidly changing needs of target market, it requires a very special management professional which considered being a “Merchandising profession”. Fashion merchandising involves all the activities starting from the fashion forecasting, design and product development till to retail sales and this also include production merchandising and retail merchandising. This will be taken care by the buyer’s part. Fashion merchandise includes items of retail merchandise which have decorative value either with or without also having functional value. Fashion merchandise includes mostly item of apparel since they can all be decorative and functional. Fashion merchandising refers to all the planning and activities involved in bringing the right fashion merchandising at the right place at the right time with right quantity at the right price and with right sales promotion. The fashion apparel world exists between the designer and the retail customer. The field of fashion merchandising exists to service the designer –customer relationship. Fashion Forecasting: It shows or direct the company new fashion presentation for the upcoming season, so that it can understand the new fashion concept, the store‘s Merchandising approach and better help to their customer. Generally fashion prediction is done by the fashion direction in case of big organizations and by owner himself in case of small organizations. Design development: The design is developed based on themes using the element s of design such as color, texture, line, shape and fabrication and adopting the principle of fashion such as proportion, balance, rhythm, emphasis and harmony. The design development should be practical which suits the current trends & also feasible to convert into the finished product. Design development is mainly done on the requirement of number of lines and groups that are going to be offered by the company for the particular season. Sample development: The collection of design created by the designers, the design which are having good potential are selected and taken for sample development. 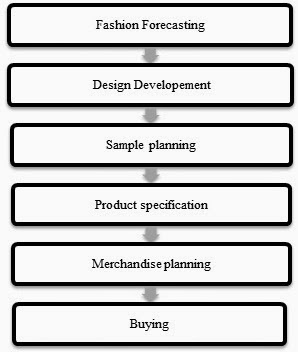 Product specification: this information of will be useful in setting the product specification for the particular garment. A product specification will guide the production department to develop and plan their merchandising and production planning and organize the thing for effective and efficient production of the merchandise. 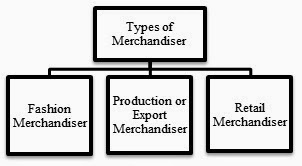 Merchandising plan or policy: a fashion merchandising plan or policy is a long –range standard for fashion buying and selling as well as for related activities like sales promotion. Merchandising plans are planned several months before the selling season. Assortment planning: A merchandise assortment is a collection of various types, quantities and price of related merchandise usually grouped under one classification within a department. A good assortment keeping will appeal a particular group of customers. Buying: It is a very crucial activity of the fashion merchandising because this is the actual process of manufacturing the good and bringing them for the sales at retail stores. A buyer’s responsibilities include both the buying and selling aspects of retailing. Right Merchandise: Retailers must fill their shelves with the merchandise that customer wants. Right Place: The location of the merchandise is of prime importance since it decides the accessibility. Much merchandise is seasonal in nature and must be on hand when it is most needed. Right Time: Much merchandise is seasonal in nature and must be on hand when it is most needed. Right Quantity: A profitable balance between volume of sales and amount of inventory is the desired goal. Right Price: Merchandiser must arrive at a price that is high enough to give the store profit and yet low enough to meet the competition and customers expectations. Right Promotion: Right balance between the investment and the appeal created for the customers. Communication: It is one of the foremost functions of merchandiser because the merchandiser has to communicate with different levels of people in his day to day activities. Planning & Programming: A merchandiser has to check the order requirement, planning for the given order, programming for various activities, proper allocation of work to the assistants. Follow ups: It includes sending of samples at various stages of order, buyer and buyer house for sample and other approvals. Decision making: A merchandiser has to make several decisions during the order processing like giving approvals like fabrics, color, design, accessories, and packing, selection of suppliers and vendors, selection of buyers, sometimes time extensions for order shipment. Sourcing & Purchasing: A merchandiser may have to do sourcing and purchasing for raw materials and accessories, suppliers and vendors, new designs, new buyers. Controlling: This is the crucial activities for any merchandiser. A merchandiser has to make sure that all the activities are carried out as per the planning and even if there is any deviation, he/she should make the alternatives measures. Negotiation: It is the activity of convincing, compromising and cooperation which would benefit the both parties involved in the negotiation. Costing: It is the process of estimating the expenditure of a given product and the subsequent price. It is another crucial function because mostly order conformation depends on the price offered to the buyers. The merchandiser should know the current prices and rates of various products and processes to do the accurate costing. Meeting: There are two types of meeting a merchandiser has to be involved. First type, a merchandiser has to conduct the meeting with the concern department in charges to discuss about the proceedings and the status of the running order. In second type, a merchandiser has to attend the meeting with the superiors or buyers or business people in giving reporting or participation or discussion. Forecasting: Forecasting is the activity of predicting the future happenings or problems. A merchandiser has to predict the future uncertainties in the current order or industry so that alternative actions or corrective measures can be taken in advance this also includes giving suggestion or ideas about new technologies or new products or latest industry trends. The word ‘Retailer’ is originated from the French word ‘retailen’ which means ‘to cut again’. Retail business involves cutting off a smaller part from a big or large good or product and selling it to the end users. Retail merchandising involves all the activities related to direct selling of products or services to the ultimate consumers or users of the product for personal, non-business purpose. Retail merchandiser sells products in less quantities and they act as an inter mediator between the ultimate consumers and wholesalers. A retailer is both a marketer and a customer and he creates place, time and facilities to sell the goods. It is difficult, time consuming and expensive, hence the retailer takes risks through ownership. They provide personal services to all consumers. They give two way information; from producer to consumer and vice versa. They facilitate standardization and grading of goods. They undertake physical movement and storage of goods. They assemble goods from different suppliers and wholesalers. They keep ready stock of goods to supply to consumers. They extend credit facilities to the consumers. They create demand by presenting window display, events etc. They also undertake sales promotional activities. They assume risk by stocking and providing goods to the consumers. Modern day retail formats can be classified in to hypermarkets, supermarkets, discount stores convenience stores, department stores, specialty stores, e-tailing and malls. The fashion influences of the particular population. 2. Selecting a fashion image: Every retail store has a retail image in the mind of customer irrelevant of the store want to have it or not. A retail merchandiser should make use of this fact by creating his own store’s image which would attract the customers. The type of fashion image they want to have depends on the type of target customer the store want to attract. 3. Buying the merchandise: Buying fashion merchandise for a retail store is not an easy job. It requires a lot of planning for budget, selection of merchandise, selection of supplier’s. Also it is important to decide on the quality of the goods to be ordered. 4. Receiving and stocking the merchandise: When the ordered goods arrive at the stores, it should be checked carefully for the quantities against the shipping invoice or packing list sent by the supplier. The quantity of the goods received should be checked before they are sent for display or for selling. After the goods are received and checked, then it should be marked or tagged and kept in stock for sales. 5. 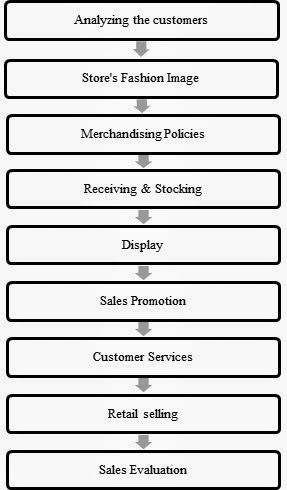 Display: The way in the merchandise is displayed is very important for sales. Good display always enhances the sales of the store and a poor display may slow the sale of good merchandise. The store’s image is based on the principle of use of space for display. 6. Sales promotion: Sales promotion is very much important to the successful sale of merchandise. Sales promotion refers to promotion of sale of merchandise, services or ideas. It includes activities like advertising, publicity, visual displays, fashion shows, special events, personal selling etc. 7. Sales evaluation: Once the selling season is over, the next thing a store has to do is evaluate the sales of the season. This include analyzing the sales by product wise, style wise, size and color wise, unsold items, fast sold goods, price line wise etc. Every customer wants to see the product before they do purchase. A store has to display the products what it has for sales. And the display should be done in away so that it should attract the customer. Visual merchandising is an art of displaying the things in an attractive way so that it could attract the attention of the customer and persuade them to buy the product. Visual statements made in the store windows are the customer’s first view with the store. Comparison study of VM display of competitors, Forecasting. The modern retailing in India is at the blooming stage with currently accounting to 5% in the total retail market in India. Organized retailing is growing at the rate of 27% and by 2015 it is estimated that organized retailing would be US$ 110 billion, around 20% of the total retail market. The apparel and clothing industry being positioned at the first place and also the spending on apparel and clothing among the customers are getting increased, it is very important to study the changing behavior of customers. A degree in fashion merchandising is usually an intricate blend of Textile, fashion and business. Many traditional colleges and universities, as well as art schools, offer targeted textile, fashion merchandising degree programs. Some individuals may prefer to specialize in specific areas of textile, fashion merchandising, like marketing or buying, while others may prefer to do it all. Some retail stores also offer special fashion merchandising training programs in lieu of a degree. Salary of local merchandiser is in range of 20,000-40,000 Rs. The average salary for fashion merchandiser, according to Simplyhired.com, is $47,000. First-time retail workers make from $7 to $11 an hour. As a person goes on to become a manager, the salary will increase to about $16 per hour, as of 2009. Shipping, purchasing and fashion distribution workers will pull in an annual salary of $25,000 to $60,000. Those working for top-level fashion stores will take home from $70,000 to $100,000. Aside from working in clothing retail stores, interested fashion merchandisers are advised to take college courses to further their eye for fashion and to combine that aspect with astute business knowledge. People who wish to advance at a rapid pace should have a good grasp of the fashion as well as business side of merchandising. Typical classes offered to a potential fashion merchandiser include the history of fashion, business-oriented courses and consumer research studies. To obtain an executive position, those interested will have a much better chance of getting hired with a master's degree in business combined with a fashion-based curriculum. On this paper we have conclude that the merchandising is a growing up as well as important department for the garment industry. It has very good scope in present as well as in future& also has greater opportunities.